Moving the Garlic Giveaway Up! We have changed our moving plans and will be heading out-of-town sooner than planned. The internet provider where we are going can be unpredictable and I want to make sure I have the winners picked and the garlic mailed to them before we leave. So with that the Garlic Giveaway winners will be picked August 12 and have 48 hrs. to contact me. You can leave a comment on this post or the previous Garlic Giveaway post. 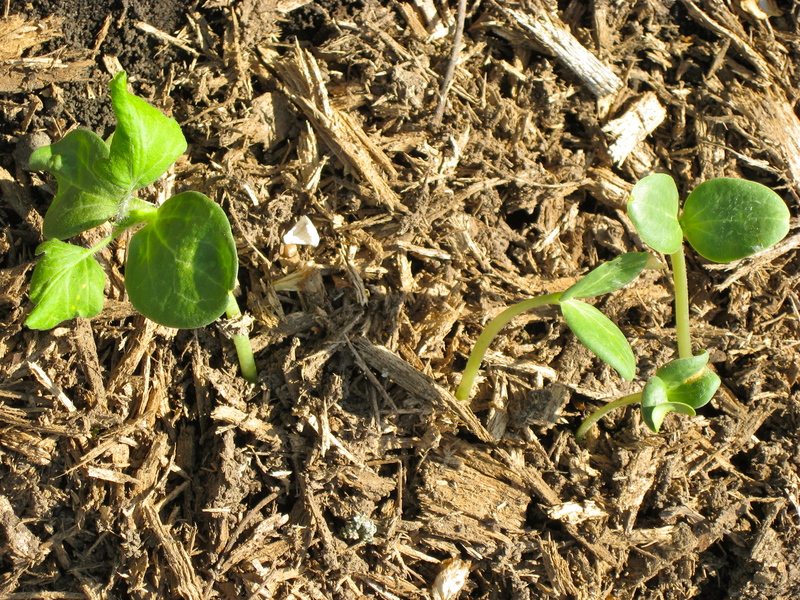 There is also a post at the Growing Phases Farm blog where you can leave an additional comment. A total of two winners will be picked – one from each blog. 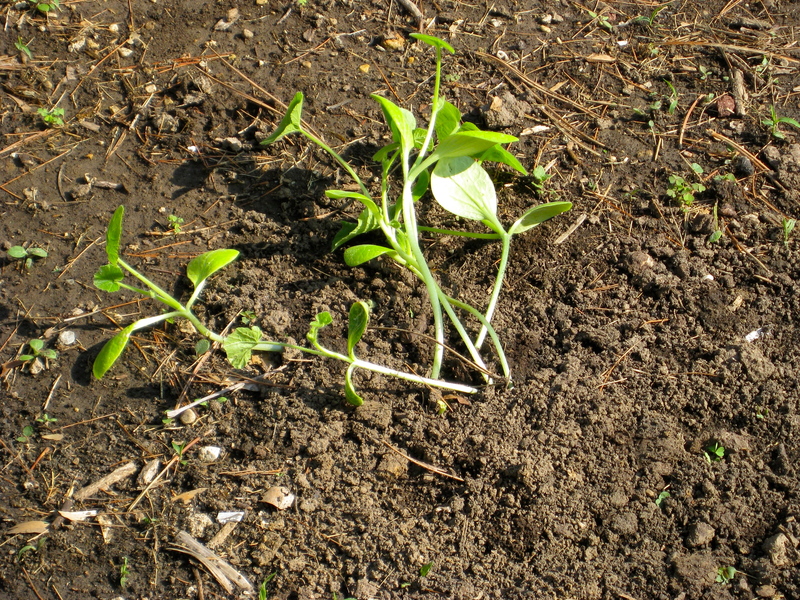 All you have to do is leave a comment here or on Growing Phases Farm’s blog . 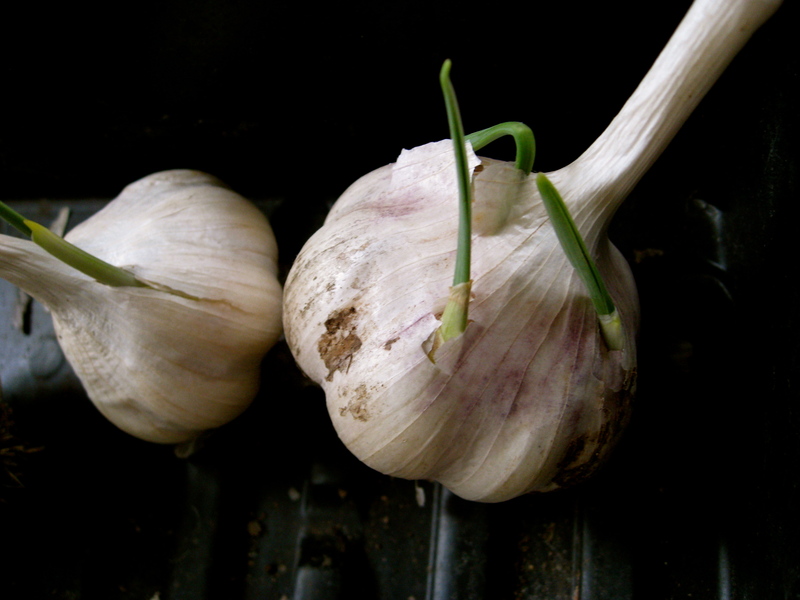 You can leave a comment on both blogs – one winner from each will be picked and receive the Garlic as a gift to either use in your recipes, give as a gift or plant in your own garden. Include your contact information (email address or website) so I can find you if you win. If you rather not post your email you can send it privately to mailbox@therunninggarlic.com . The winner will be announced and posted here on August 26, 2011 and will have 48 hrs. to contact me with their address for mailing otherwise a new winner will be selected. 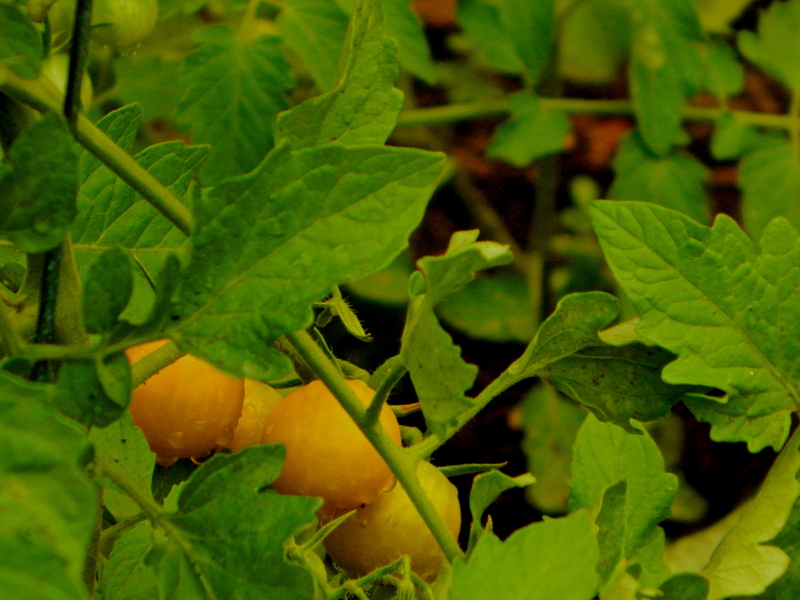 Finally the Sungold Tomatoes are beginning to turn color and should be ready to EAT any day now … I can’t wait! 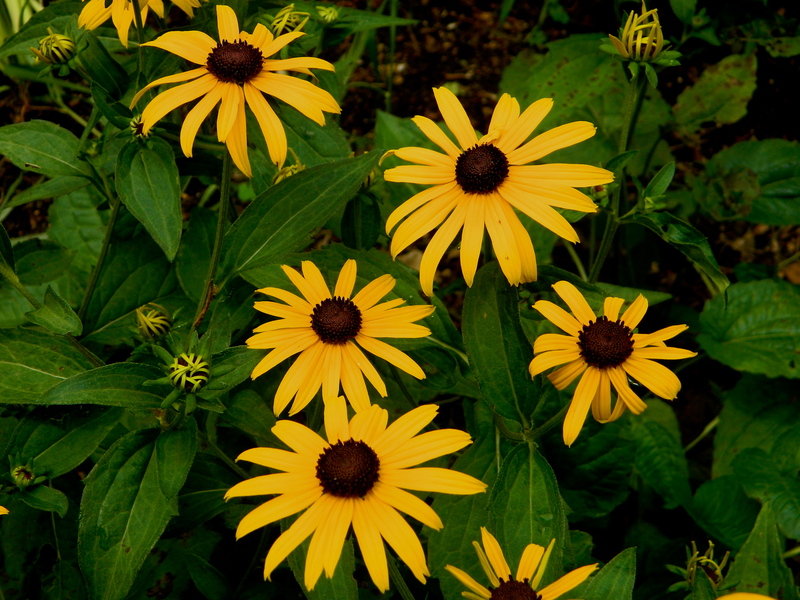 Also the Black-eyed Susan are in full bloom – they are biennial and bloom every other year – this is the year. I have a few more pictures of happenings around the farm posted at Growing Phases Farm, so make sure to stop by and leave your comment for yet another chance to win the Gourmet Garlic…..best of luck to you! We have finally decided on a name for our place that carries meaning for us from our past, present and future business ideals. Growing Phases Farm is our new name and although we haven’t started officially doing business the name is in place! I have set up a Facebook page and another blog where I will be writing about happenings on the Farm and I am keeping my fingers crossed we can find a good internet connection here. 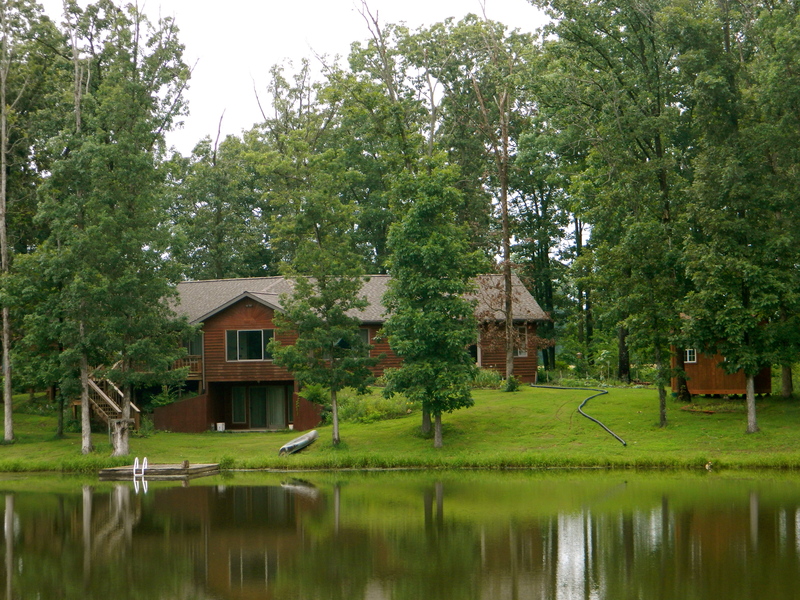 We are pretty remote and most carriers don’t reach us. We were busy the last few weeks harvesting all the garlic and now this task is finally complete. The 5 types of garlic grown this past season include Chrysalis Purple, Chesnok Red, Persian Star, Inchelium Red and Chet’s Italian. 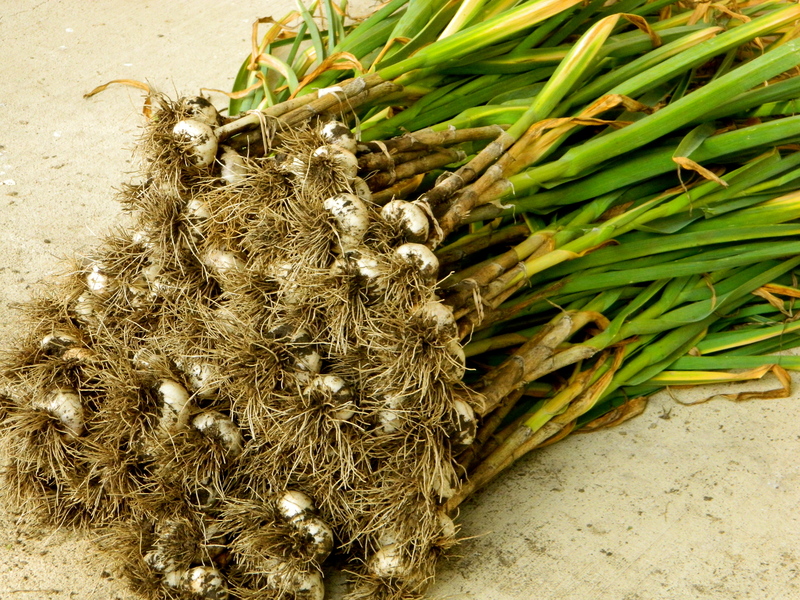 The garlic will cure for a month before it is up for sale and many of the cloves will be saved for our planting for 2012 which will take place in October. I also ordered 2 additional varieties – Music and Siberian, along with Lorz Italian and Broadleaf Czech to be started. Overall, the growth and harvest went well, although much more organic compost needs to be added to the hard clay soil for better results. 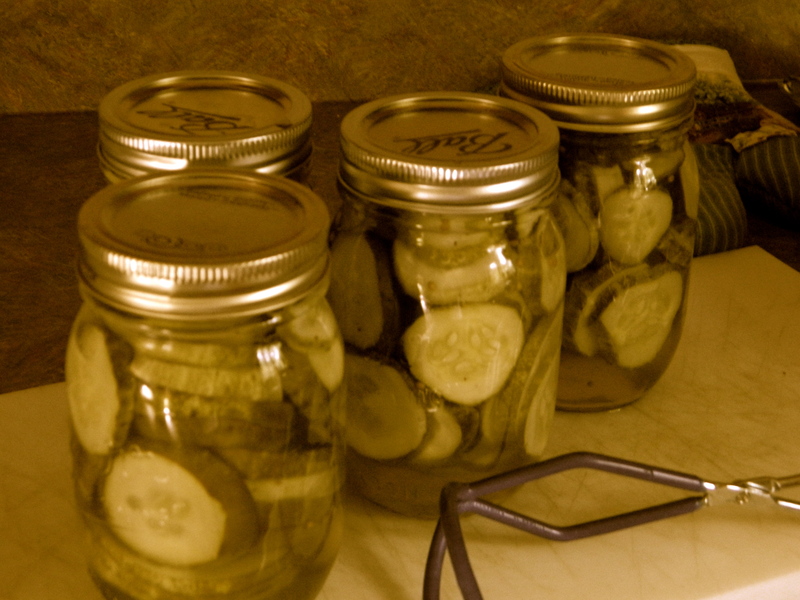 The cucumbers have been plentiful allowing us to can enough to keep us pickle happy until next season. 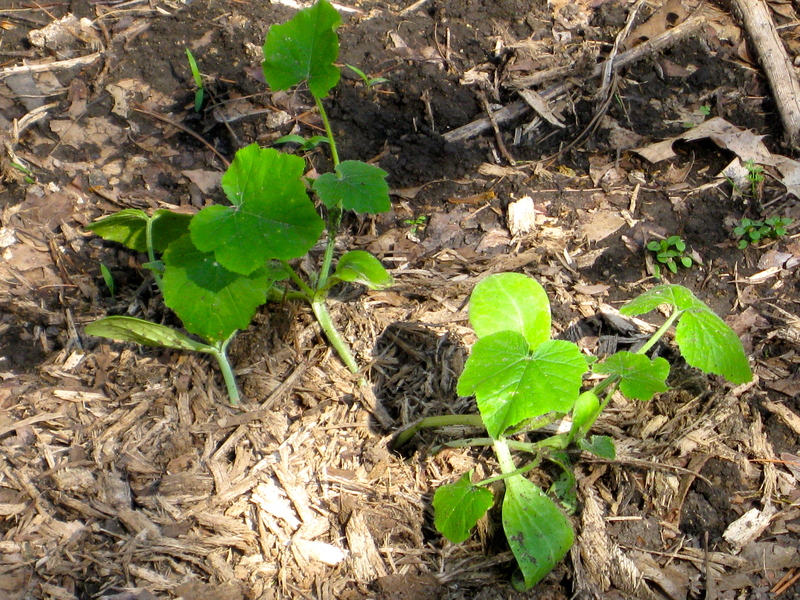 I left the vines to grow a little longer since the chickens love cucumbers and will enjoy their refreshing taste on these hot, hot summer days! I noticed more baby birds out and about and made sure to keep the feeders full for them. If you sit and watch you can see the difference between the babies and the adults – besides the physical appearance, they are slower to move and they tend to observe what is going on around them. 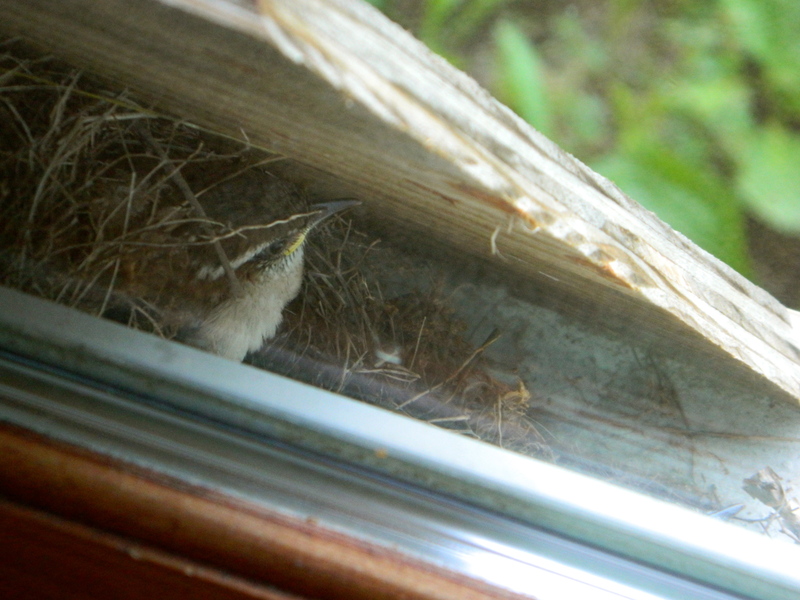 Top picture is a baby House Wren – the nest is built behind a piece of wood we placed up against sliding glass doors. The wood was picked up and placed there for no reason, but once the nest-building began – we didn’t dare move it. 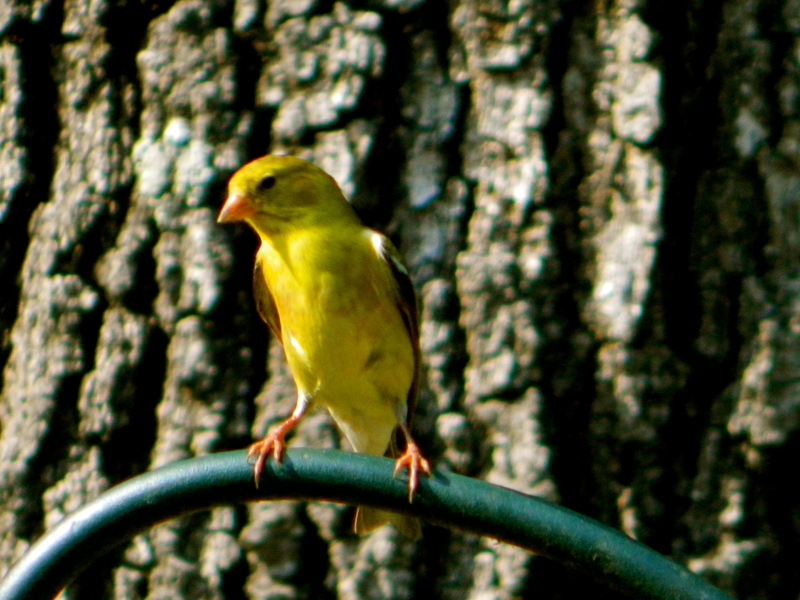 The lower picture is a baby American Goldfinch watching the world go by. It sure seems Spring is shorter and shorter each year – this year we had frost one day and 2 weeks later 90 degree days! The past 2 days have been scorchers outside and right now it is storming so the garden is getting a much-needed drink! 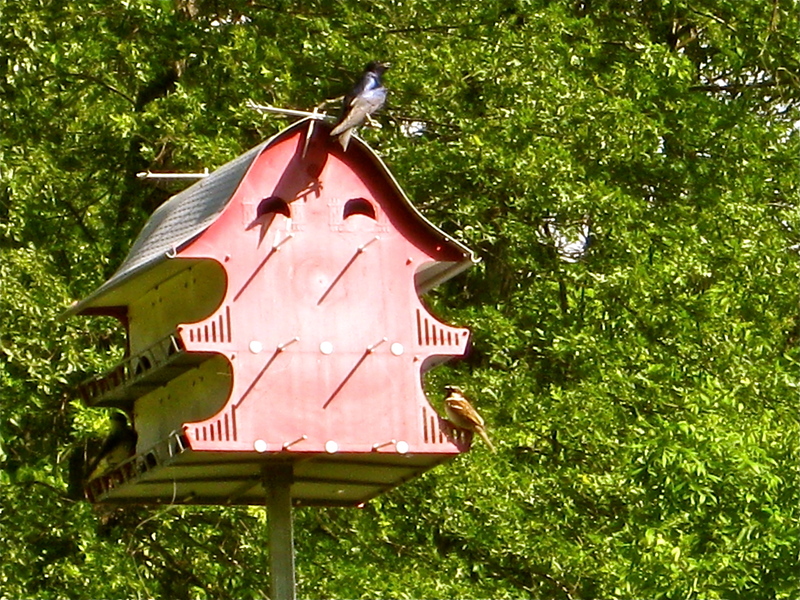 This was the first year I was able to sit and actually watch a pair of Purple Martins around their nest. They make a clicking sound as they move about which I found quite amazing. 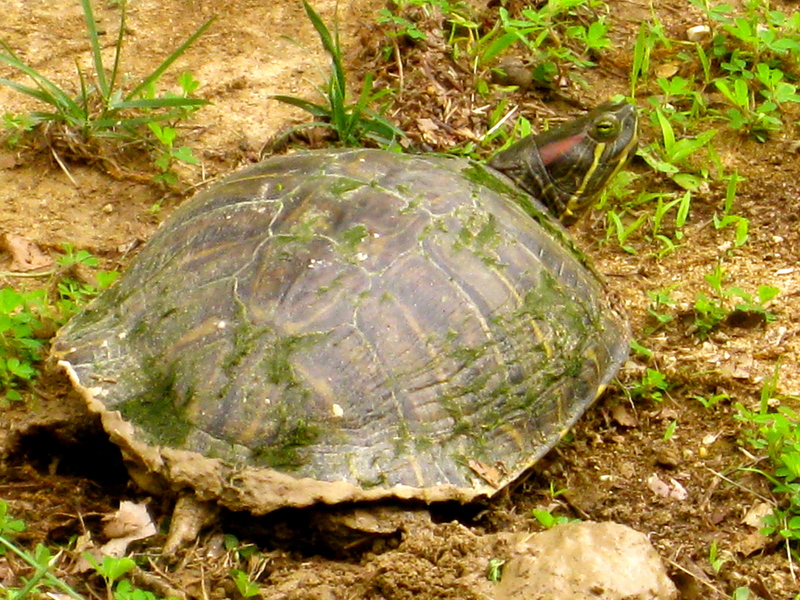 I was able to capture a turtle actually laying eggs (the video is 4 mins. in length and this is over the limit at Flickr so I need to shorten it or find another way to post it). Frankie alerted us to the turtle’s presence and stood howling away at her as she calmly proceeded to do her duty. I have the area marked off and hope we will be around when the baby turtles make their appearance. 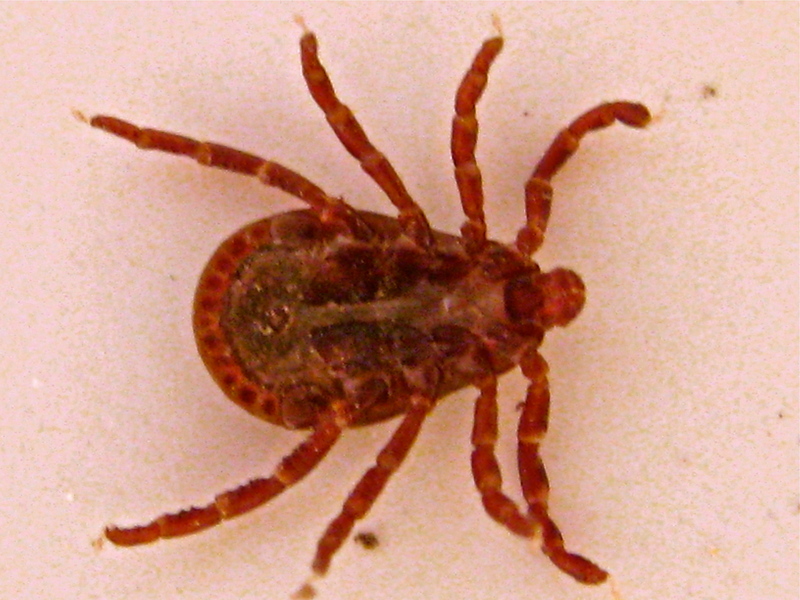 The chickens love the warm weather and all the nice little bugs they find – the ticks are one of those bugs I could easily live without. I find plenty of them down south and this year the locust are out, about and LOUD! 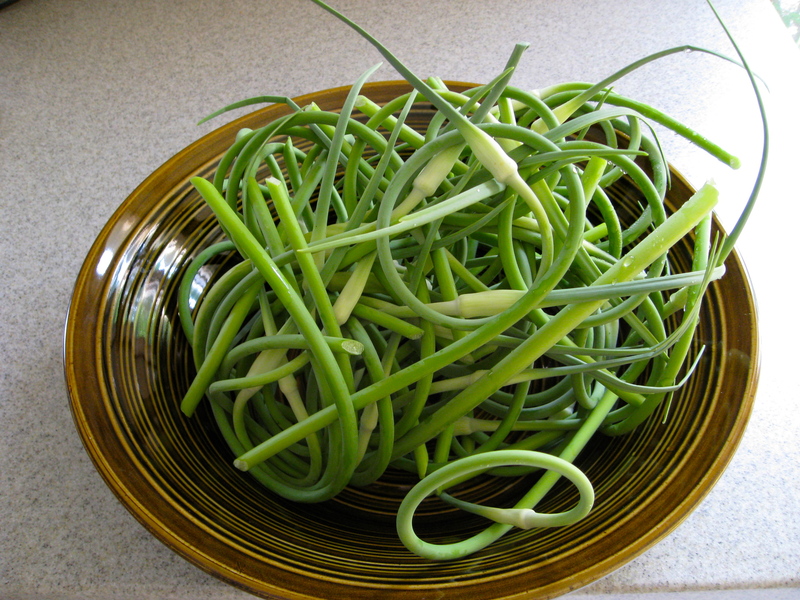 I harvested my first batch of Garlic Scapes and promptly made a nice pasta dish using them. Also shared some with a local chef who was very appreciative. These were from the Chrysalis Purple hardneck and I will have many more from the other varieties soon. 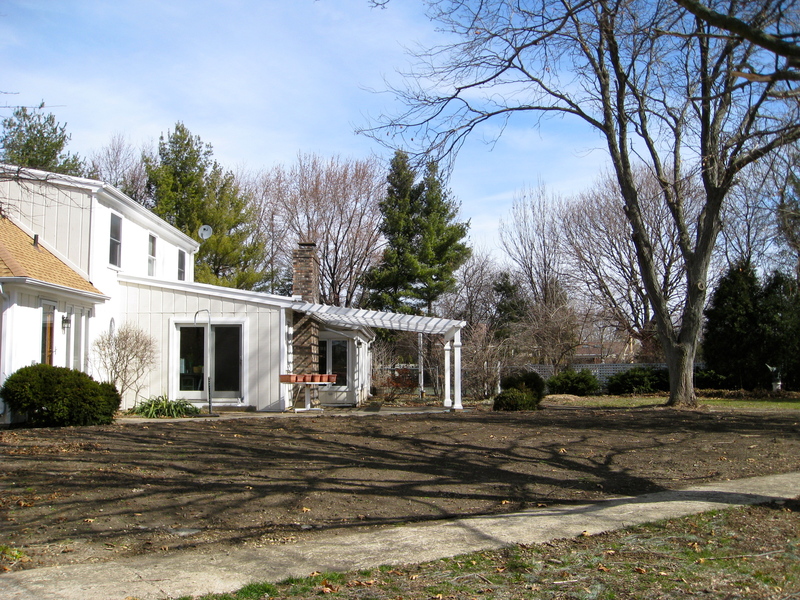 Along with all this summer activity, we have been busy getting our home in St. Charles ready for market. 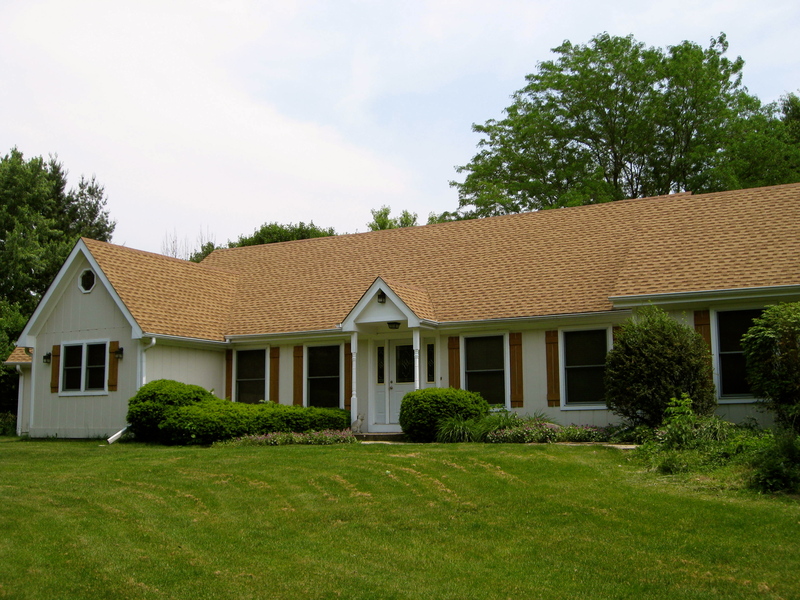 Obviously, this is not a good time to sell a home …… but you never know! With two 80 degree days this week I could hold off no longer! I started planting in my garden outside and I have been checking the weather constantly. The official day here is May 15th (which is Sunday) for danger of frost to occur. We have had frost later than that in past years, but now I can only cross my fingers and keep my hopes high. The 10 day forecast shows there will be a cooling off this weekend but nowhere near frost. I did keep a few of each variety safe in the house just in case. 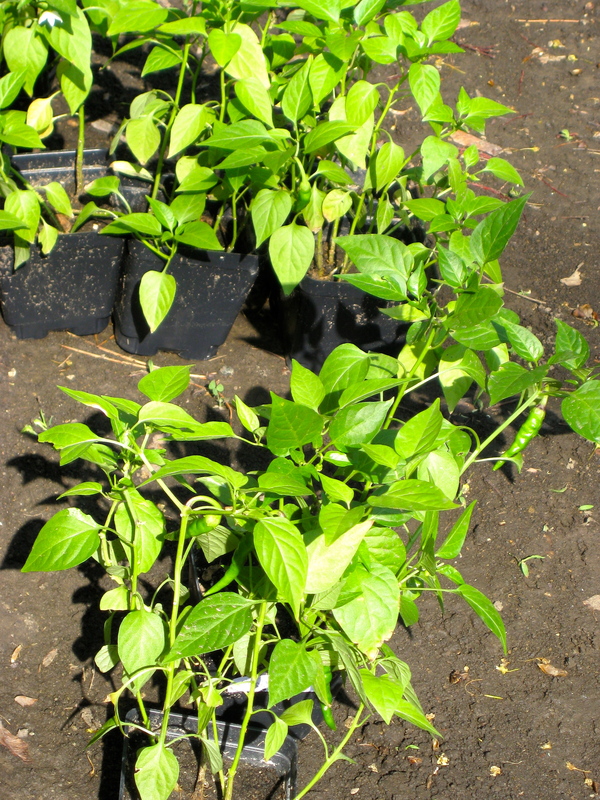 Pepper plants are more than happy to be placed in the ground – varieties are Marconi, Red Mini, Alma Paprika, Tam Jalapeno and Purple Pepper. 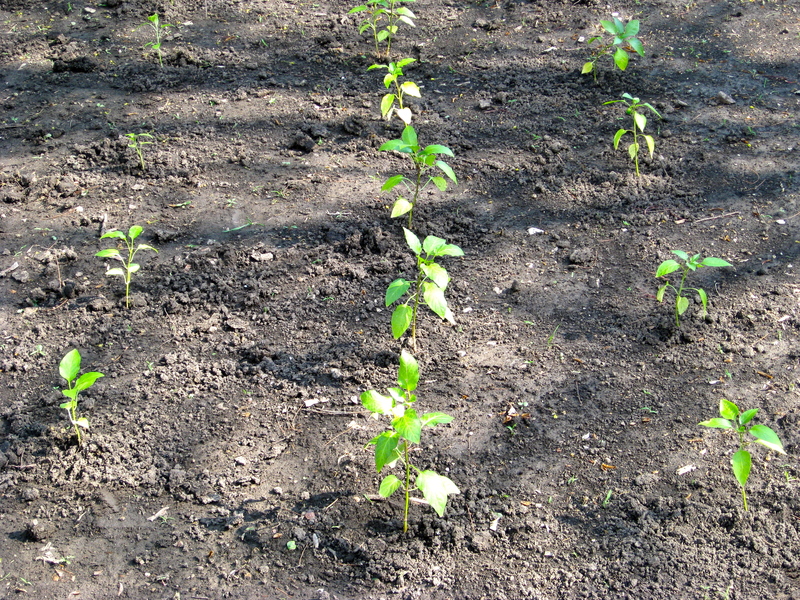 Cayenne peppers are still waiting – I have to rethink where I want to plant them. I already have peppers on some of these! These seeds are from Renee’s Garden and are Tricolor Zucchini which means the package had 3 different varieties of squash – Clarimore, Golden Dawn and Raven which gives me an interesting selection. Same with the package of Summer Scallop – three varieties of Pattypan squash; Sunburst, Peter Pan and Starship. Can’t wait to see what will grow! 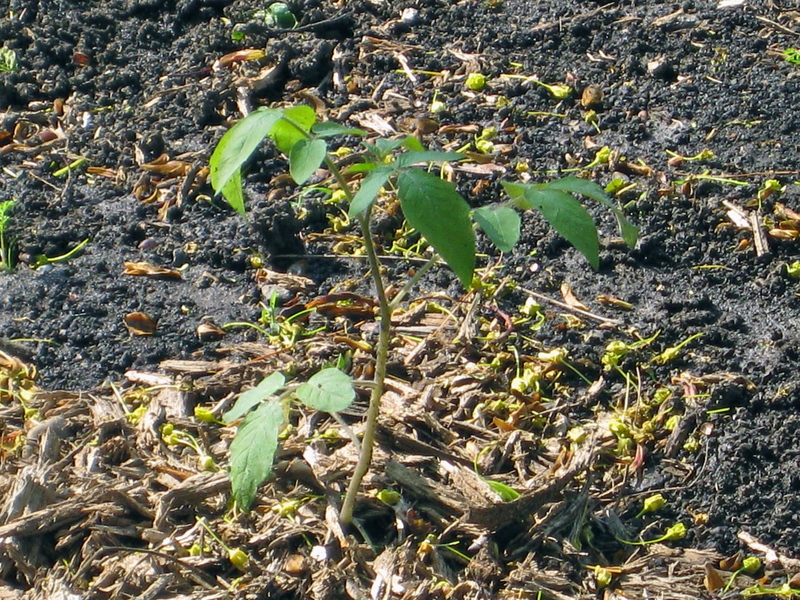 Here is a shot of one Tomato transplant … I have many more! The varieties in ground are Cherokee Purple, Amish Paste, Sungold, Amana Orange, Black Cherry and Black Krim. 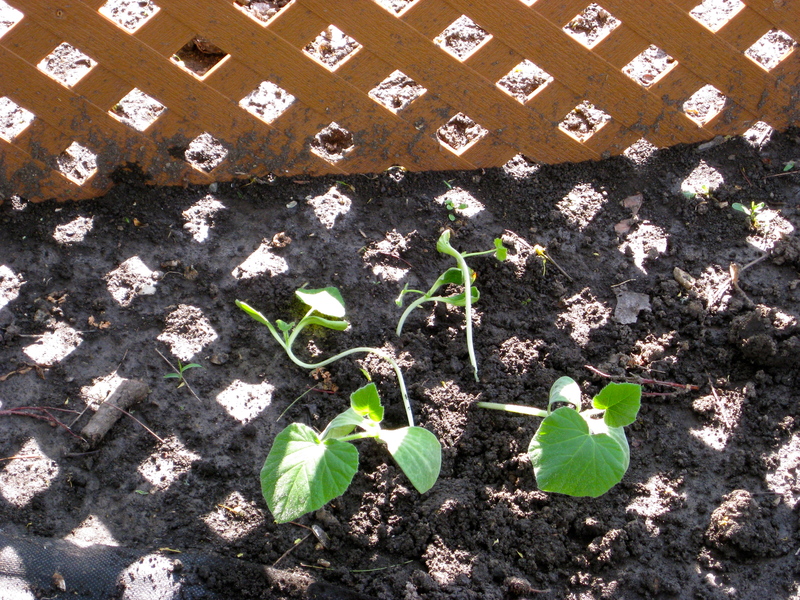 Winter Squash – the two types here are Delicata which I will train to grow on the fence and Butternut which will be too heavy for the fence. Last but not least my Moon and Stars Watermelon – seems like it took a bit to get going, but will take off I am sure once the warmth is here to stay. 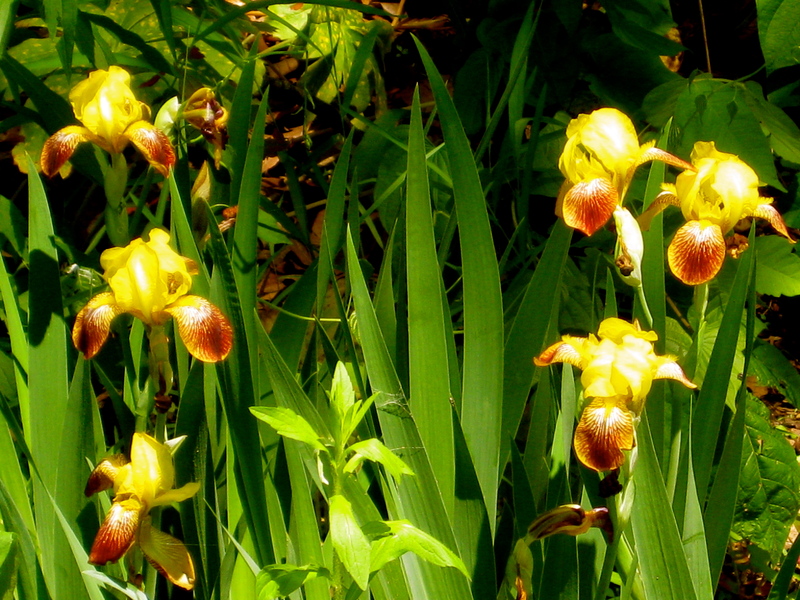 Also planted a few flowers out …. 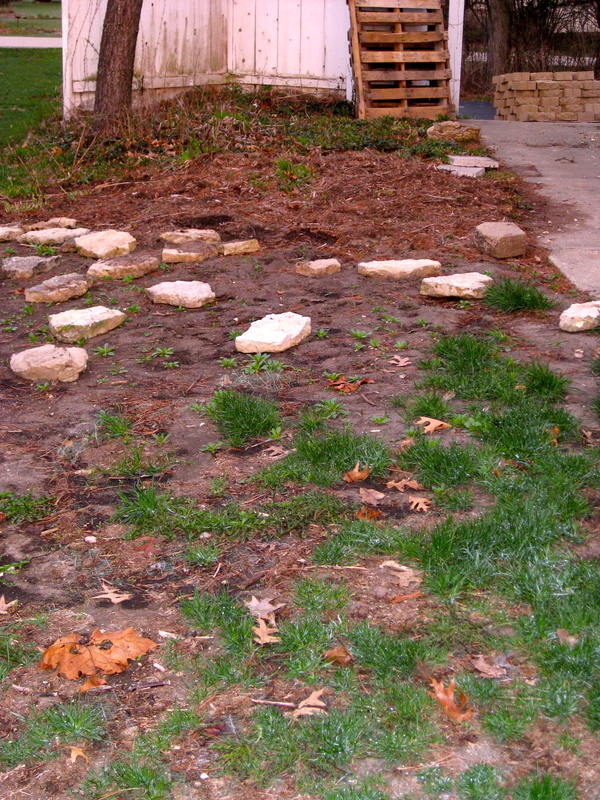 so as I fine tune some more planting all I can keep doing is chanting … Please No Frost – Please No Frost. You are welcome to chant along! 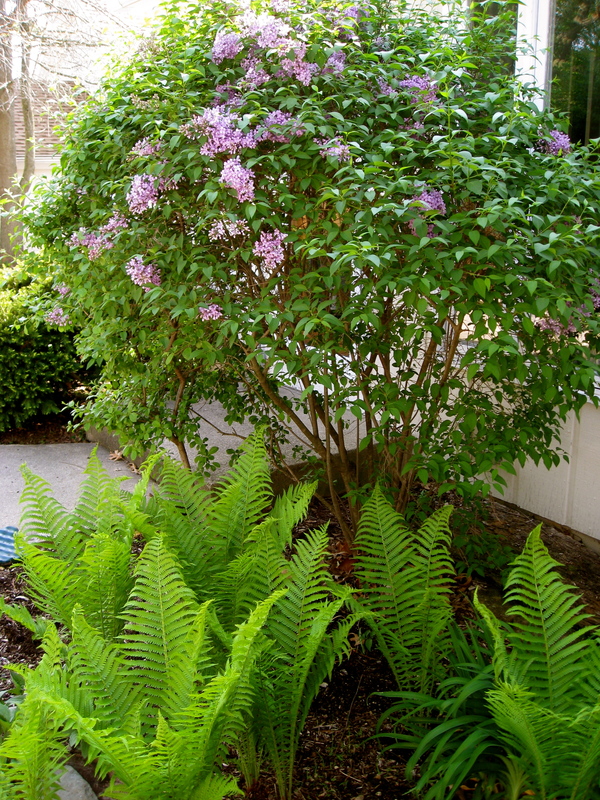 Hoping your garden plans are coming together! The past 3 years I have been concentrating my gardening efforts on our place down south and this year I am doing a reverse! We have cleared a rather large area in our yard up north and have decided to do a really spectacular garden. Although I have some gardening knowledge this large space is intimidating! There is nothing there and I plan to make it pretty … yikes! 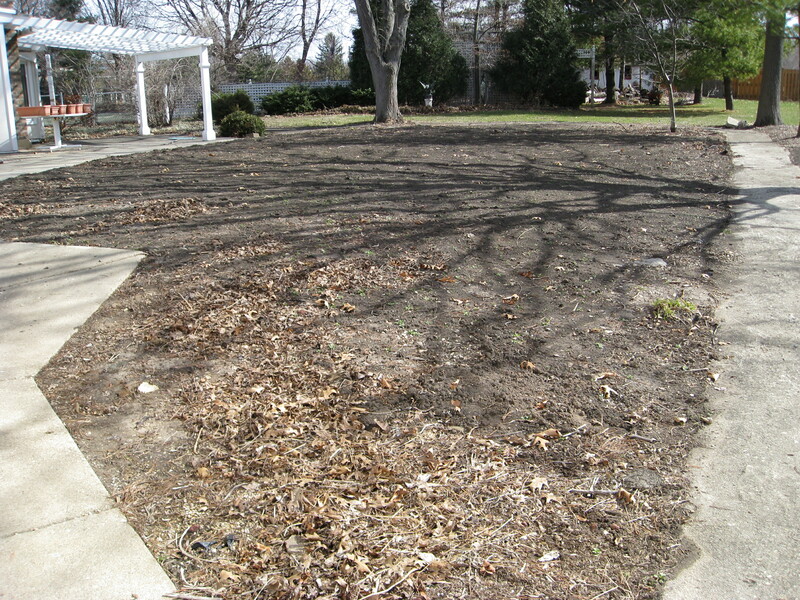 This is our back yard and the area with black dirt is our new garden! That is alot of black dirt! 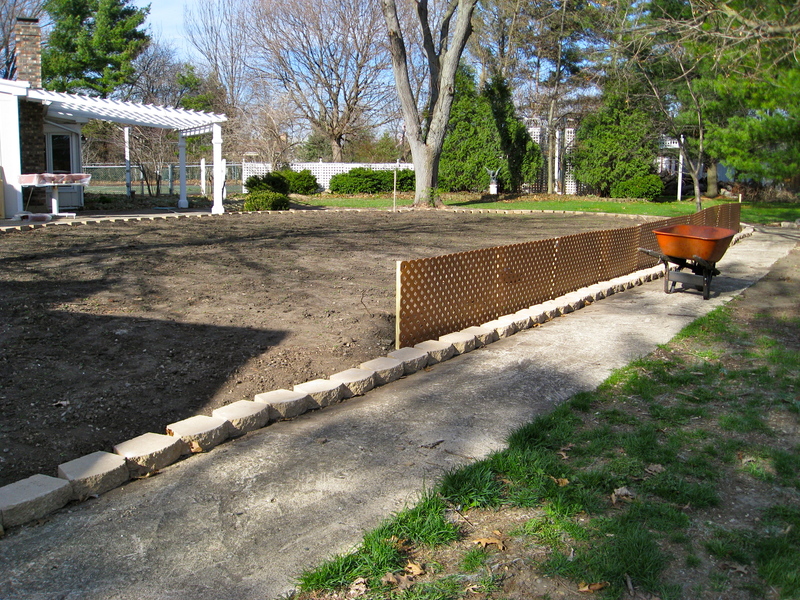 Another angle ….. of ALOT of black dirt! 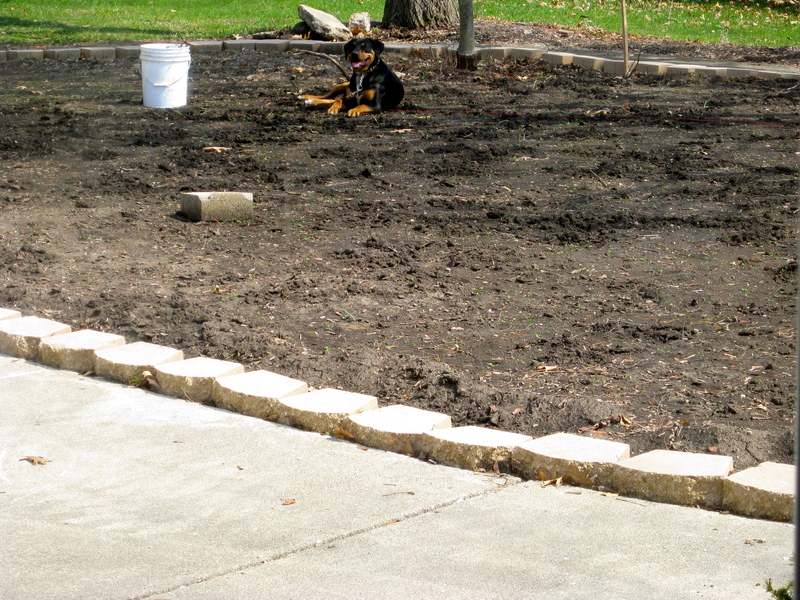 Frankie is quite content watching as we line the area with brick to keep the soil from running off in heavy rains. Some days I really wish my dogs, of which we have four, could pitch in and help a little with some of this work. 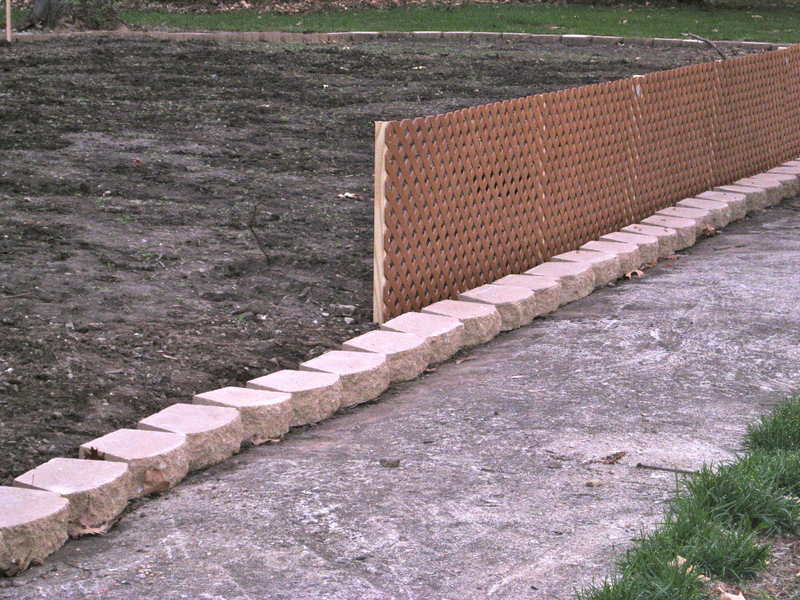 Next step is framing the area with plastic lattice to keep the bunnies out … the squirrels will climb over so I need to keep an eye out for them. One year they had a real feast on all my miniature blue corn I had growing when we were gone for a weekend. 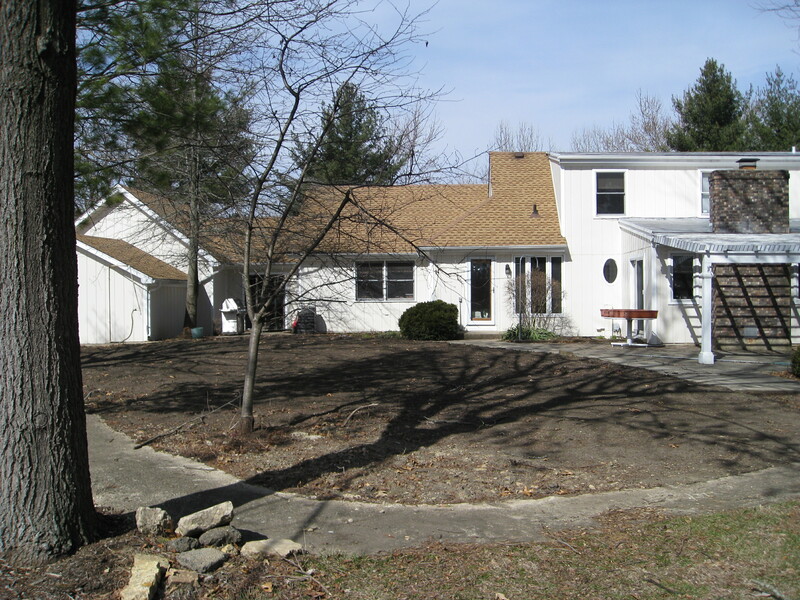 This is an additional area on the side of the house that I plan to clean up and add flowers or it may be the herb garden. It looks like I have my work cut out for me ….. maybe the dogs will have a change of heart and decide to help out. Follow along as I create my Dream Garden! 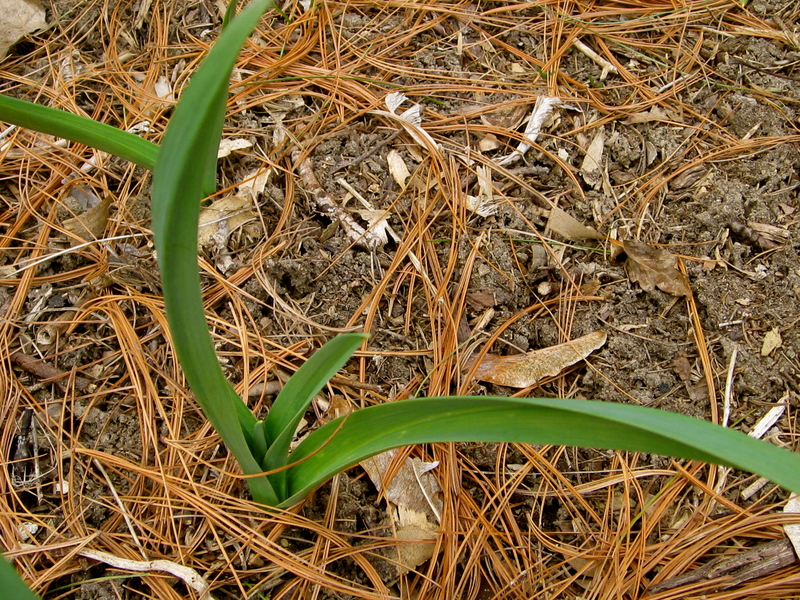 Some of the garlic I have from last season is starting to sprout and it makes sense since the garlic out in the ground is sprouting also. It must sense that it’s time to grow! 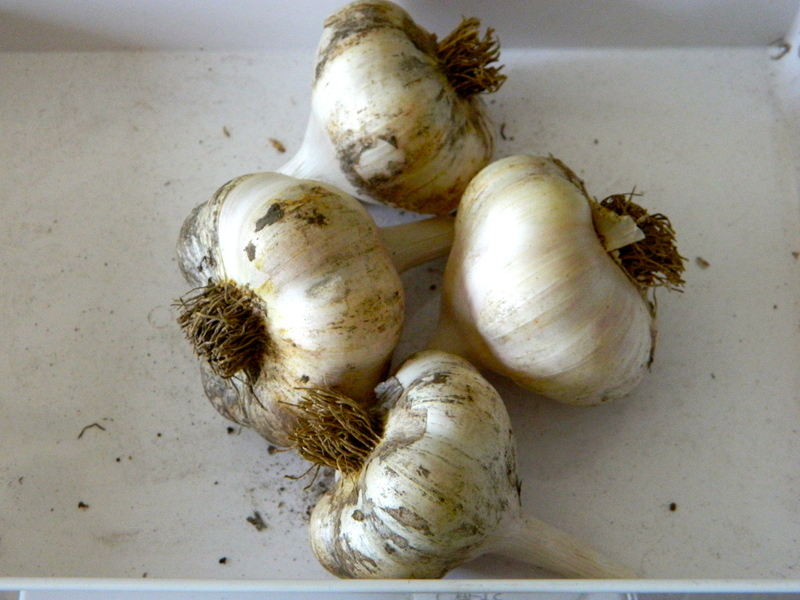 At this point, the garlic is still very edible but it has lost its youthfulness and freshness. 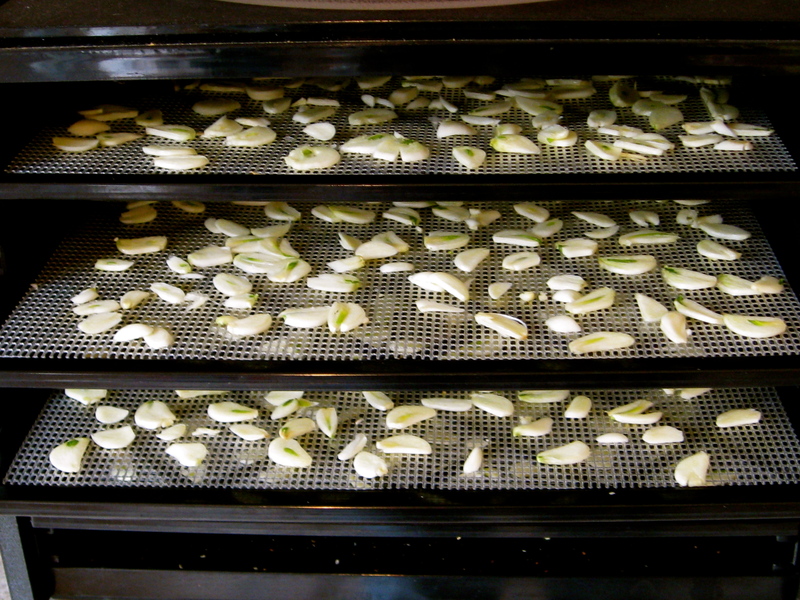 I decided to dry some up in the Excalibur dehydrator and save it this way. I will take it a step further and powder it for simple sprinkling into recipes. 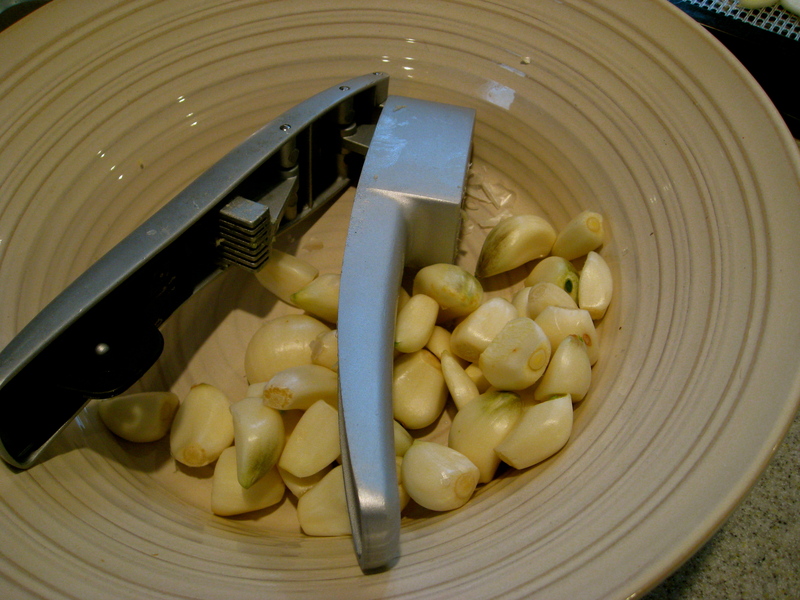 This garlic press/slicer I found and purchased over the summer has been a true time saver! Previous to buying it, I would cut each individual clove into slices and it did take forever. 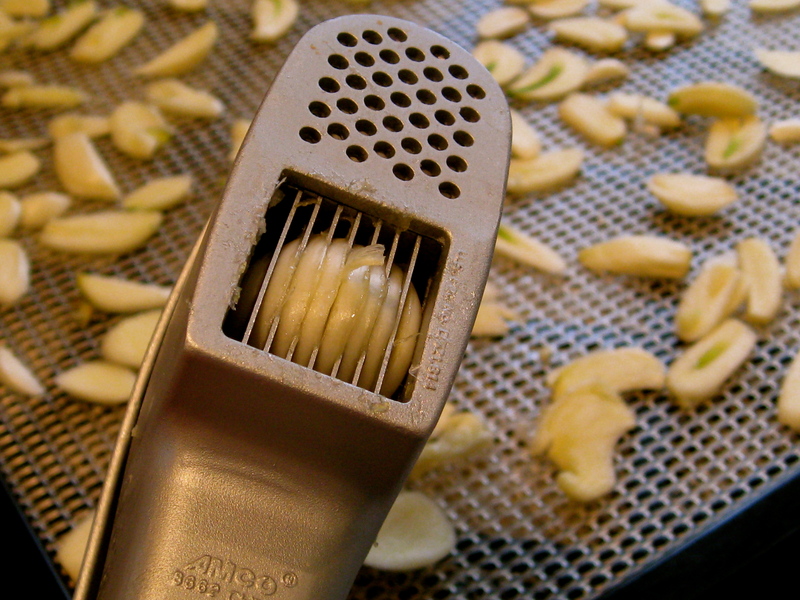 Now I just pop the clove in the garlic slicer and presto …. nicely sliced garlic! Planted in October to be harvested in July! Make sure to add your recipe to Munchie Monday tomorrow. I will be adding Garlic Herb Croutons … easy, easy!